Control Protocol: RHCSA Labs and Shuttle trouble - Just Getting Started. RHCSA Labs and Shuttle trouble - Just Getting Started. I began studies on the RHCSA last week. If you look at my last post, I have my usual month of study plan laid out with labs, reading, CBTs, etc. Although this time I'm a bit behind. 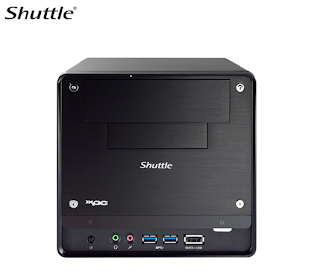 My home VM server is a Shuttle SH67H3 with an Intel Core i7 2600 (non K version as it doesn't support vt-d), 16Gb RAM, and a couple of corsair SSDs. I was running VMware ESXi 5 on it and it was stable with a few Linux VMs. However it did not support the on board RAID as it was seen as a software or fake raid. With the RHCSA studies, I need to lab, a lot. Although I do a lot of the work daily in my current position, we use Xen while RHEL 6 uses KVM as default. This means the RHCSA is based on KVM, not Xen. Thus I had to reformat the Shuttle. Now, the fun part. For install media, I usually go for a USB stick first, then if thta doesn't work, I'll attach a SATA blu-ray burner (I don't keep a CD attached to the server). Initially, I tried the USB drives and loaded Scientific Linux 6 on the drive using dd on my Mac Pro (here's some instruction, although block size should be 256k for a quicker copy "bs=256k"). It was a no-go. Then I tried burning an ISO. Still a no-go. I removed all devices sans the DVD-Rom, tried both media again, no-go. Ok, whats happening here? I did some googling and found a few notes about issues coming up with Intel's UEFI (new kind of bios). The UEFI is supposed to bring all sorts of magic, but I didn't see any in the SH67H3's BIOS. It seems UEFI can grab a list of boot devices and store it in NVRAM of which it somehow cannot be recovered with out a bios flash (don't quote me on this). Great. I'm 2 days behind in studies now and still no booting from media, old HDDs, yes. Odd. The next few steps are the same as usual, reset the bios, switch USB ports, verify USB media on other computers, Verify DVD media, switch SATA ports, switch SATA mode, etc. By luck and good troubleshooting I ended up with the DVD drive on one of the Intel RAID SATA ports and the BIOS SATA setting set to "IDE." Bam! It worked. Ok, put everything back, SSDs on the Intel RAID, host drive on the other SATA ports, and try it again. It's a no-go! Turns out the only way to boot from the DVD was to have the drive on the Intel RAID ports. So, I got Scientific Linux 6 installed on the host drive and went to work doing the basic configs, finally. Im IT Administrator,i have read your blog and i very Interest,you have pass RHCSA and RHCE Exam.and you have RHCSA/RHCE Certified. if you can, may I ask ebook RHCSA and RHCE by Michael Jang?